April 2016 - Guardian Safety Solutions International, Inc.
Are you sure the tools you’re using to make staffing, budget, compliance, emergency response, and other critical decisions are up to the challenge? Join a panel of public safety leaders as they discuss the operational issues that keep them up at night – and how they solved them.Want to know more? Click here. Guardian system prevents these fires! Commercial building housed catering company kitchen. Word is that this commercial building housed a catering company kitchen that provides school lunches. 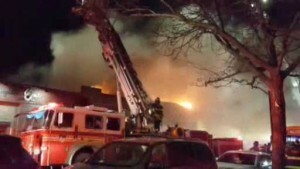 It took 250 Brooklyn firefighters several hours to get the blaze under control. The Guardian system could have prevented this terrible fire.